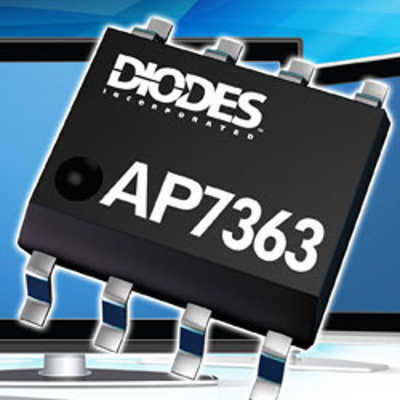 Diodes announced the AP7362 and AP7363 fixed and adjustable output linear regulators. With an ultra-low dropout voltage of only 220mV at 1.5A, the AP7362 and AP7363 help reduce power consumption and increase regulated voltage output stability. Their low dropout voltage performance combined with fast transient response to step changes in load make them suitable for a variety of energy-sensitive microprocessor applications in monitors, printers and set-top boxes. The accuracy of both regulators’ adjustable voltage output is tightly maintained irrespective of circuit conditions, varying typically just ±1.5% at 25˚C and ±3% over the full line voltage, load and ambient temperature ranges. In shutdown mode, quiescent current is also extremely low at 25nA, helping to boost overall circuit efficiency. For circuit protection, the integration of precision current limit and thermal shutdown functions ensure target devices remain safe from damage during fault conditions. Offering a wide adjustable output voltage range from 0.6V to 5.0V, the AP7363 suits a broad range of applications by use of a simple two resistor voltage divider. Alternatively, the AP7362’s fixed output voltage options of 1V, 1.2V, 1.5V, 1.8V, 2.5V and 3.3V remove the need for the divider and helps reduce PCB component count. For additional flexibility, the AP7362 and AP7363 are provided with and without a logic-high enable pin. Both devices are provided in DFN2030-8 and SO-8 exposed pad packages with the SOT223-3L package a further option for the fixed output AP7363 variants.